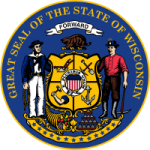 Wisconsin, often known as America’s Dairy Land, attained its statehood on 29th May, 1848 and is now 20th most populated state of US nation. It ranks 23rd in terms of total area and 15th in terms of median household income. The Badger State has a highly paced economy with tourism, agriculture and consumer good manufacturing and production, being the major contributors. Health Care industry is among top 10 revenue producers as well as top employers of Wisconsin State. Wisconsin also leads in alcohol consumption statistics in whole nation. What is Wisconsin Board of Nursing and what are its goals & responsibilities? Wisconsin Board of Nursing is a small division under the Wisconsin Department of Regulation and Licensing. Board of Nursing is responsible for various issues related to safety of public health. It is also responsible for standardization of various nurse assistants, registered nurses and advanced medical practitioners by checking the competency through verified licensing and certification exams. It enforces the various laws associated to nursing in state and also describes the scope and definition of various nursing professionals in state. Board of Nursing is responsible for reviewing and promoting the nursing programs and training schools in Wisconsin. Generating health awareness and trust in board, among Wisconsin Residents, is very crucial. After all, safety and protection of public from illegal and unauthorized nursing practice is the main motive of any Nursing Board. Which are the various boards under Wisconsin Department of regulation and Licensing? There are 66 boards related to various professions under Wisconsin Department of Regulation of WDSPS. These boards are not only to ensure safe professional practice, but also counts for standardization of various professionals in Wisconsin. Who are the current members of Wisconsin Board of Nursing? Currently, the Wisconsin board of nursing has 8 working members, each appointed for a four year working tenure. The members are appointed by the governor and are appointed as Registered Nurse Members, Licensed Practical Nurse Members and Public Members.